Pamper parties, from £40 per person! For 4-12 guests. Our clients tell us they love our pamper parties. Why? Because for the same price as an average night out with the girls they get 2-4 choices of pampering, beauty and relaxation treatments, and time talking and catching up with the girls. You bring the wine…we will provide the glasses. In addition, if there are 8 or more guests, we give the Party Queen a £20 voucher towards any treatment of her choice for her next visit. Please scroll down for information on our 3 Party Packages for Adults, Young Adults. Add GEL POLISH to a manicure or pedicure for addition £10 per person per set. Add NEALS YARD REMEDY PRODUCTS to your facial. From £40 per person. Contact us now on 01482 446 245 for more information & availability. party activities and goodie bags. £40 to add a group make-up lesson. Free treatment voucher for Mum, worth £20 for groups of 6 or more. Perfect for birthdays, special occasions, or just a get together with your friends, pamper parties from Aquarius are a great way for groups of 4-10 people to relax, revive and celebrate. Please feel free to bring your own wine and we will provide the glasses. 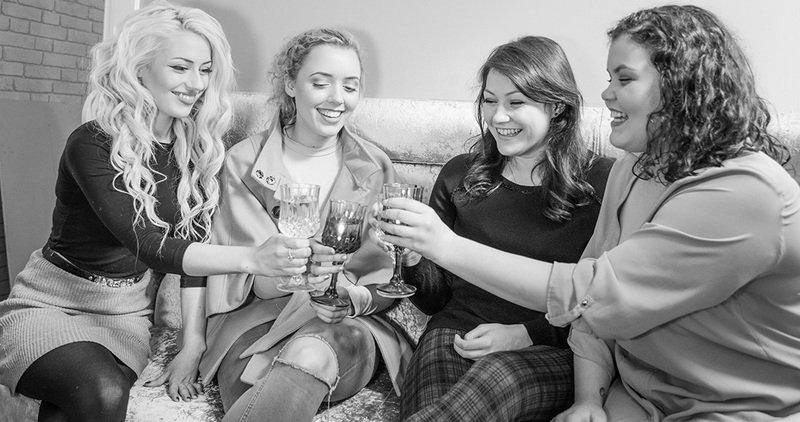 When it comes to booking your Aquarius pamper party at our spa in Hull, East Yorkshire, we’re flexible, offering a full range of times and days, including both evenings and weekends. To check our availability and to book, get in touch on 01482 446245.